Latest reel for the collection, the awesome Jigging Master Limited Edition PE3 muted reel. Serial nr 20 :) Will hopefully get it next week, here is a sample of how it looks. 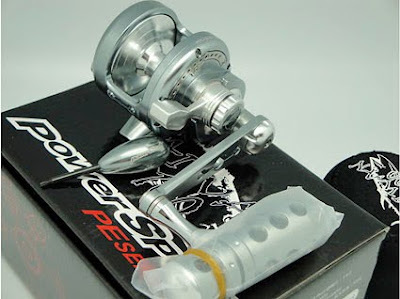 This is a small but unbelivable strong and robust reel that handles almost any fish. Will use this reel on a Jigging master power spell 200g rod and it will be suitable for cod, coalfish and of course halibut fishing. More info will come further on.